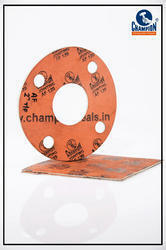 We are manufacturer of Asbesos Gasket in Ahmedabad, Gujarat. Used In: High Temperature And High Pressure. Asbestos Gaskets, which are widely known for their high structural bolting strength, hardness and corrosion resistance. These are manufactured using quality raw material, which is procured from reliable vendors. These products are widely demanded in various industries. Asbestos Non-metallic & metallic cloth gaskets are produced from high grade Asbestos Fiber cloth with wire inserted (Brass or SS304) to form a durable material of high tensile strength. - Widely used in automobile and mechanical industry. We are one of the pioneers, engaged in the manufacture, supply and export of industrial gaskets used in diverse industrial applications. We have set new benchmarks with our superior quality products. Their characteristic includes odorless and non sarcastic. The industrial asbestos gaskets also have an excellent thermal and electric insulation. 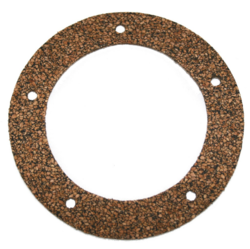 We are amongst the finest manufacturers and suppliers of CAF Gaskets. These gaskets are used in sealing of water, steam, natural gas, air petrol hydraulic fluids, refrigerating oil, ammonia, saline solutions etc.